The Hokey Pokey, as it’s known in most parts of the world except the United Kingdom (where it’s known as the Hokey Cokey), is an age old dance and tune familiar to all. Hokey Pokey is also the name of the most popular flavor of ice cream in New Zealand. 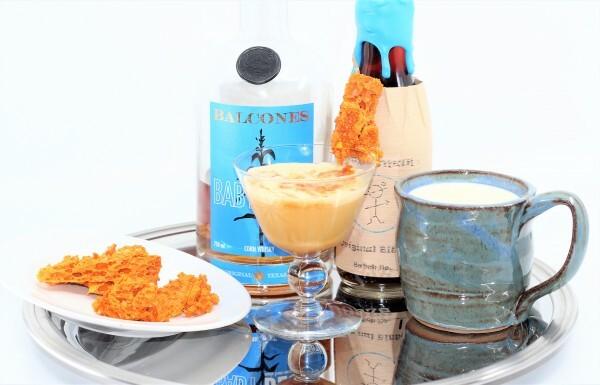 It’s a rich and creamy vanilla ice cream mixed with crunchy crumbly bits of honeycomb candy, which is a light and fluffy toffee made from golden syrup, a lighter version of caramel. Honeycomb candy is full of airy pockets and crevices which look like a honeycomb. It’s also sometimes called, you guessed it, Hokey Pokey. 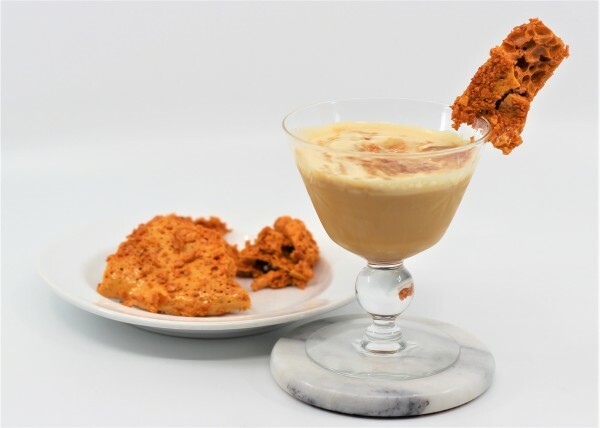 I made a cocktail version of the ice cream, despite the fact that neither Hokey Pokey or golden syrup are readily available in the United States. But sugar and water are, so Bob’s your uncle. I whipped up a batch of the syrup, turned it into honeycomb candy, and mixed a cocktail. Or really more a dessert. 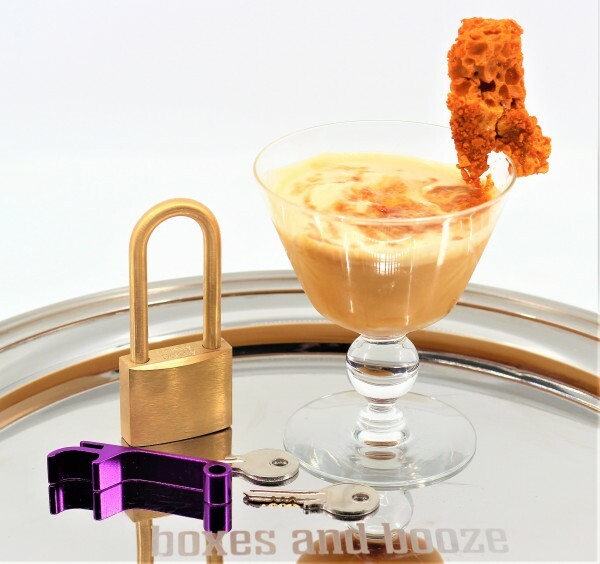 It was delicious, and paired nicely with this crazy puzzle lock which is called, of all things, the HoKey CoKey Lock! Now, if I could just get that damn song to stop playing over and over in my head. Cheers!